How to Use URL Filter on Vigor3900? In this note, we will demonstrate how to use URL Filter to block a website on Vigor 3900. We create a URL filter to block Facebook as an example. 1. Create a Keyword Object of Facebook page: Go to Object Setting >> Keyword/DNS Object >> Keyword Object, click Add to create a new one. 2. Set up Keyword, then Apply. b. Enter the URL keyword in Keyword Member. 3. Create a Firewall Rule to block Facebook page: Go to Firewall >> Filter Setup >> URL/WEB Category Filter, click Add to add a new rule. 4. Set up the Filter profile, then Apply. a. 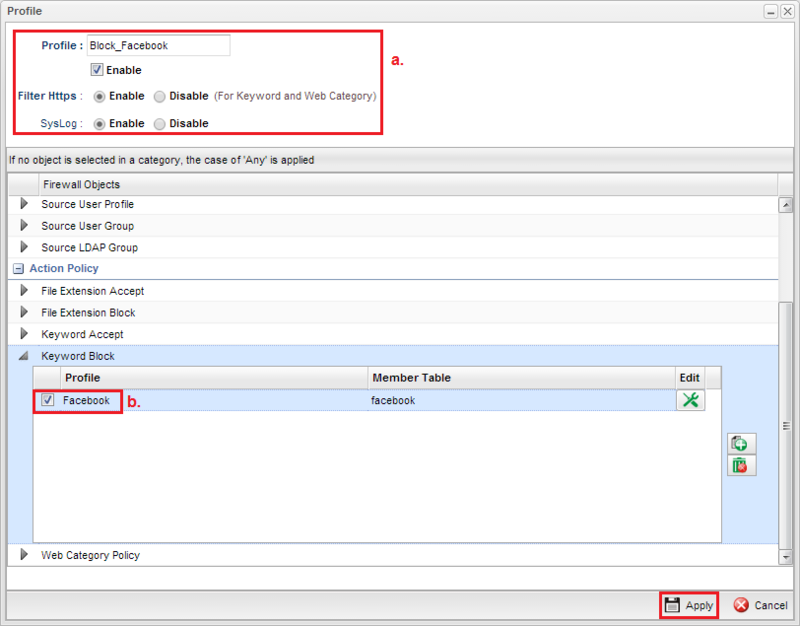 Enter Profile name, Enable the profile, and Enable Filter Https. b. Select the Keyword Object for Facebook in Keyword Block table. 5. 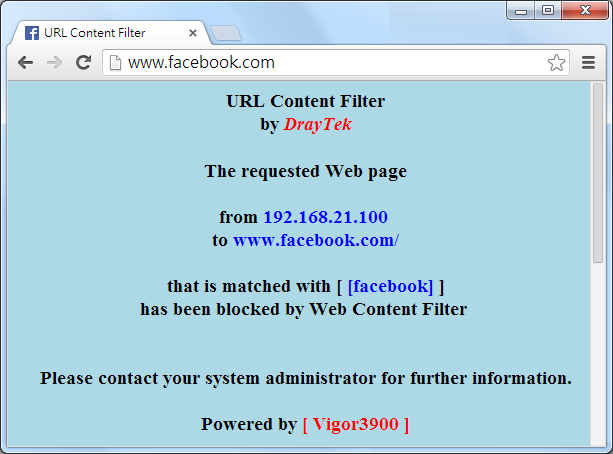 After finishing the settings, Vigor3900 will block the web page when the URL contains the keyword “facebook”. 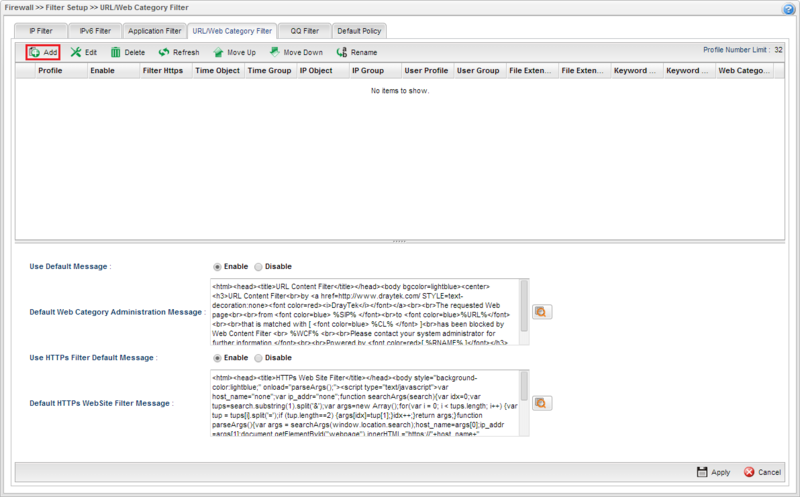 The URL Filter also works for HTTPS website, although the blocking page might not display correctly. 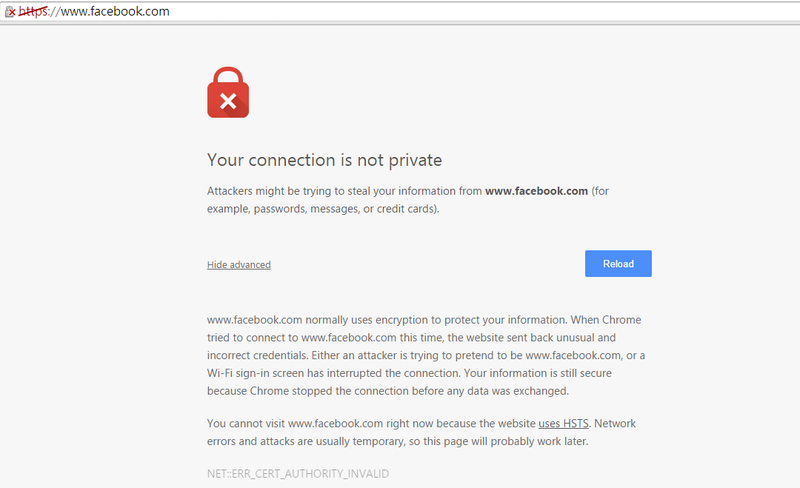 This is because some browser will prevent the access to router's blocking page for security concerns.